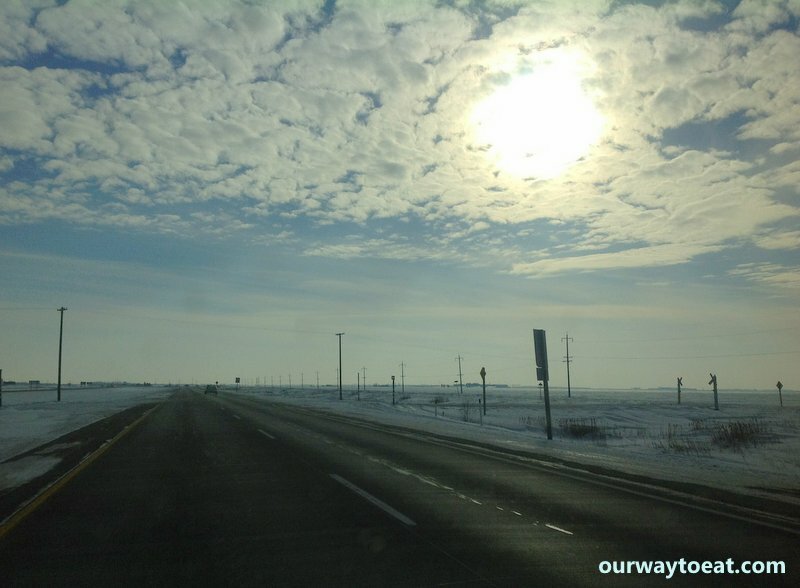 From our home in Saint Paul, Minnesota there are a number of great cities that make a doable weekend road trip. While I am huge a fan of Madison and Chicago, my personal favorite weekend road trip is “Minne to Winni”–the Twin Cities of Minneapolis and Saint Paul, Minnesota to Winnipeg, Manitoba. The miles between these cities are the span between my current and former hometown. When you visit your hometown, you tend to visit your friends more than spend the weekend as a tourist. Still, we had in mind one place we wanted to check out: Parlour Coffee. Our friends, Ben and Jenny are friends with the owner, Nils, and have been talking the place up. Our friend Ben built these great birch plywood benches that sat outside Parlour in summer months. Parlour makes great coffee. It is ground and brewed to order. If you are going to visit Parlour, don’t plan to hang out and use the free WIFI–they have none. This is a place to stop for a perfect cup, a quick chat with your neighbour and be on your way. The decor at Parlour is spare. The walls are white, and the chandelier hanging over head stands out as a focal point in the sparsely adorned space. I snapped a picture of the chandelier (the first photo, above) and it happened to look like the cover art on Vampire Weekend’s self-titled album. The place is hip, and conveys the pared-down Kinfolk-sensibility; they are tuned into the beautiful simplicity of perfecting a craft. Parlour actually fits the Kinfolk model enough to have been featured on the beautiful Kinfolk blog, for a relatively new kid on the block in the heart of wintry Canada, this is a high compliment and an indication that this is a coffee business that is very much on the right track to succeed among those who appreciate simple, well-made luxuries as a high art. At Parlour we enjoyed a Gibraltar–a creamy, rich concoction of espresso and milk served with a flourish in a small glass tumbler. A Gibraltar isn’t on the menu, and you can’t have it to go. In the spectrum of espresso drinks, you’d find it somewhere between a cappuccino and a latte. Parlour has the art of coffee down. If you have been to Koplins in Saint Paul, it is a similar caliber of artisanal coffee experience. Upon hearing we were in town from Saint Paul, Parlour’s owner asked if we were familiar with Koplins, acknowledging that their offerings are comparable. In my opinion, both places serve marvelous coffee, but Parlour is friendlier and less pretentious. For example, I didn’t get lectured about ordering off-menu and requesting that my Gibraltar be prepared half-caf at Parlour, but I was read a mini-riot act following my typically innocuous request for skim milk in my latte on my first visit to Koplins–oops. The barista at Koplins informed me that I would probably be satisfied and choose to consume less over all if I drank real whole milk instead of skim in my latte. While possibly true and totally forgivable, I found the little lecture served on the side of my spendy whole milk treat a teeny bit unnecessary. You are looking to add a local food-loving yuppie to clientele, aren’t ya Koplins? If you spend 20 minutes on the premises of Parlour enjoying a sticky bun, you will see that people here know each other, know the baristas, greet each other warmly. They come to oogle each other’s new babies, but mostly the people come because the coffee is above average. When compared, Koplins is Minnesota nice, Parlour is Friendly Manitoba. I know where I feel most at home… Parlour is a wonderful addition to the ever-evolving Exchange district, formerly the heart of Canada’s grain trade, currently the artsy elbow between a gritty section of Winnipeg’s North Main, and the outstretched arm of Portage Avenue, which traverses downtown, and stretches west out of the city and across Canada as the Trans-Canada highway. 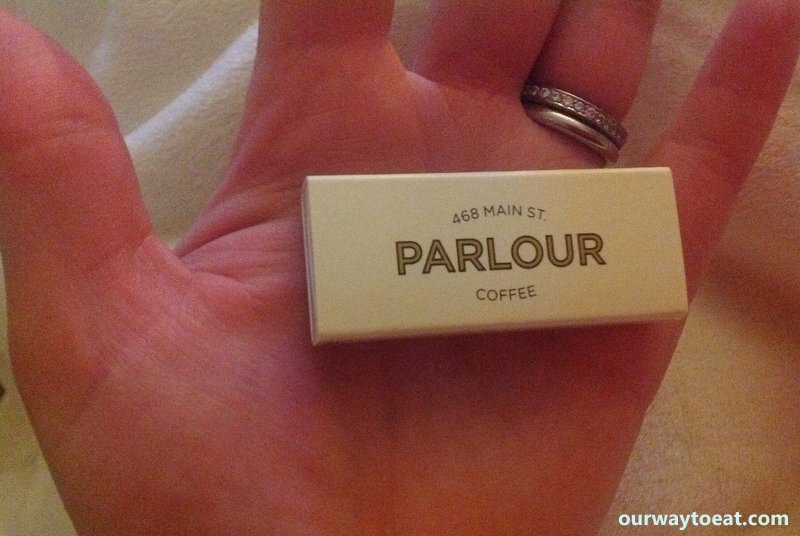 One more tip for Parlour: pick up a pound of coffee and receive a complimentary espresso. Nice! 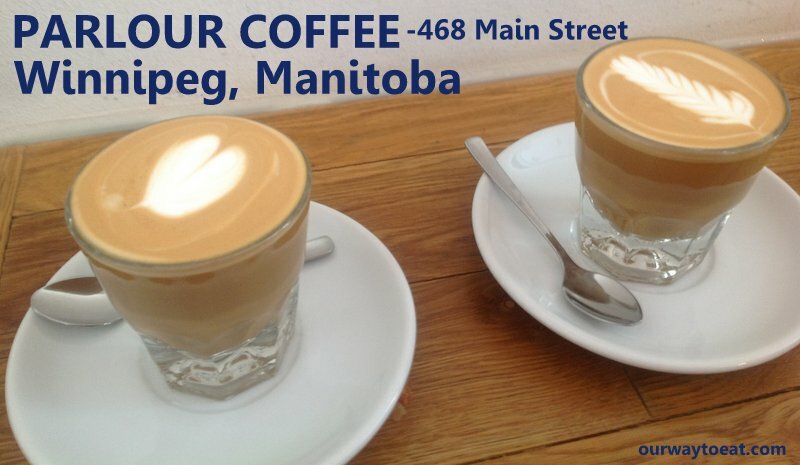 In Winnipeg, Parlour is lovely and well worth visiting for a fine cup coffee. You will find yourself close to several galleries worth visiting: Urban Shaman Contemporary Aboriginal Art Gallery and Raw Gallery of Architecture & Design, to name two. If you have a sweet tooth, Cake-ology is also just around the corner from Parlour, and is a great spot to stop to pick up a treat to go. We all ordered cupcakes and enjoyed our treat at home later in the evening. The frosting was luscious and not too sweet, and the cakes that were being decorated behind the counter of Cake-ology were lovely to behold. Winnipeg is a city with innumerable options for experiencing ethnic cuisine. On this visit we enjoyed the buffet at India Palace at 770 Ellice Avenue, and according to a Winnipeg Free Press article, laminated and posted near the buffet line, so has Richard Gere. 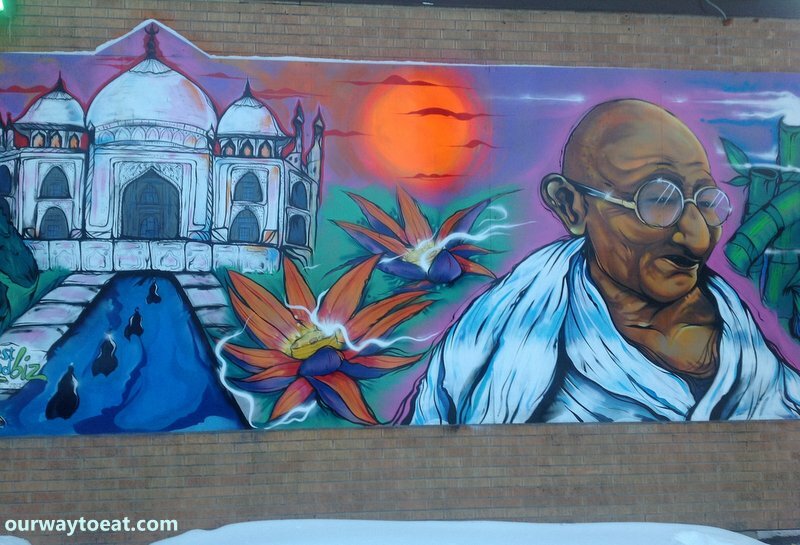 We also enjoyed the mural on the wall outside. Before hitting the road for home we stopped at Safeway on North Main to pick up a few loaves of City Bread, also known as the bread of my dreams. City Bread, and a few other local bakeries such as KUB Bakery bake and sell wonderful rye and pumpernickel loaves in grocery stores throughout the city but nowhere else on earth, as far as I can tell. I have found no similar substitute. It is simply the best bread. We also brought home a half dozen bottles of Half Pints beer, brewed at Half Pints Brewery Co., one of Winnipeg’s first microbreweries, and certainly its finest. A few years ago, we toured Half Pints and were treated to fresh pretzels served with spicy mustard from Lange’s Pastry Shop, at 710 Ellice Avenue. Lange’s has become a regular stop for us while we are in the city. 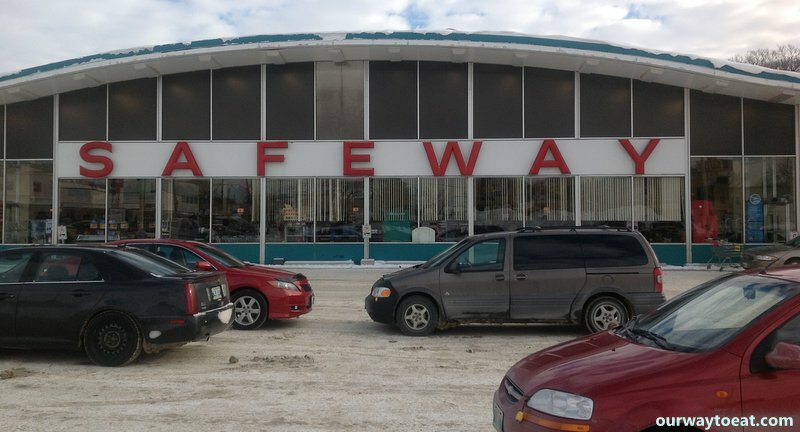 Several of Winnipeg’s Safeway grocery stores still boast the iconic 1960’s wave-style architecture. 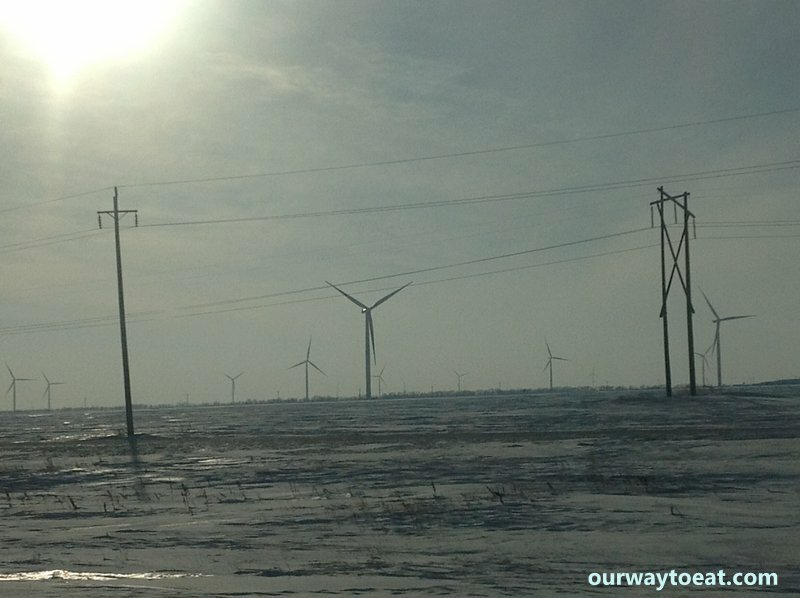 We made our way home Sunday afternoon, across the snowy, wind-blown prairie, along the border between Minnesota and North Dakota and back to Saint Paul. 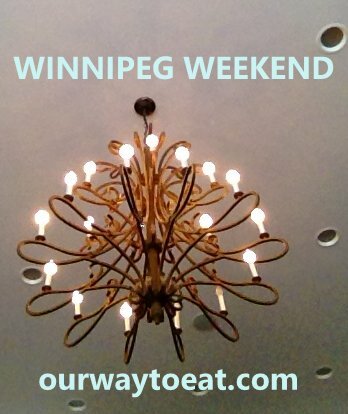 We enjoyed our weekend in Winnipeg; a place where I feel at home, but always find I have much to discover. We enjoyed our discoveries, but most of all, we enjoyed time with our friends. To experience these pleasant spots I’ve highlighted, or discover other treasures in this friendly, vibrant city, I encourage a Minne to Winni roadtrip, bring your passport, and perhaps your parka– and bring home bread. 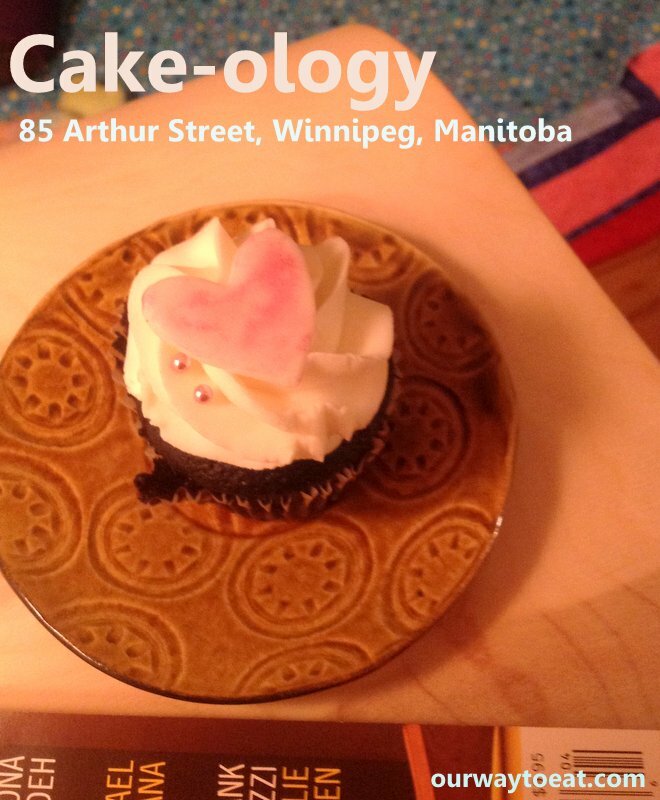 This entry was posted in Beer, Dining Out, Memories, Travel and tagged Cake-ology, City Bread, India Palace, Parlour Coffee, Safeway, Wind energy, Winnipeg by Our Way to Eat. Bookmark the permalink. 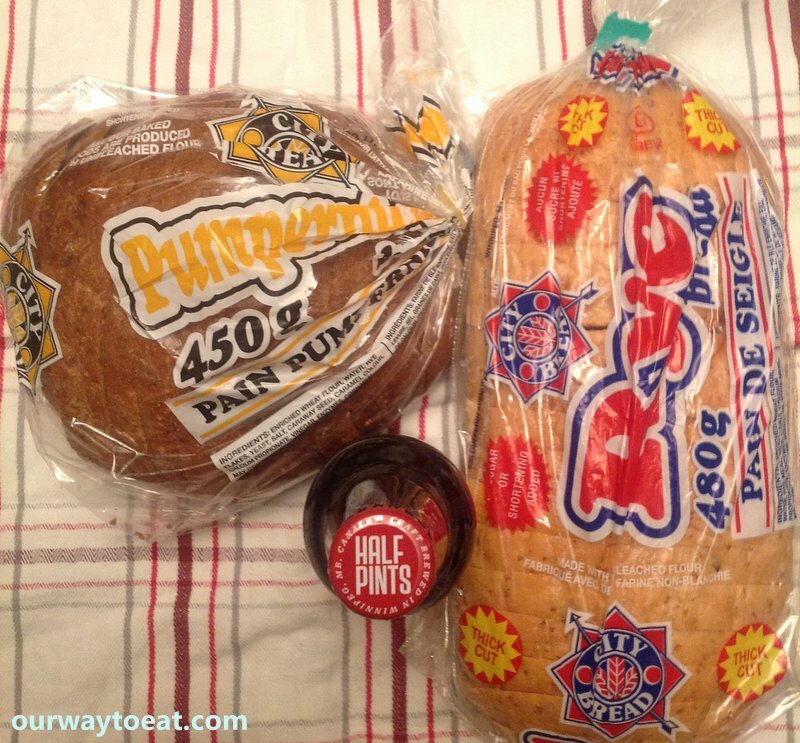 Ahhhh…City Bread–delichmo! What about (pronounced aboot, eh?) five pin bowling!?! Speaking of delichmo, I failed to mention the superior homemade pizza I sampled in the home of Will and Jane. Yes, one of these days I’ll have to mention 5 pin bowling. Thanks for stopping by Uncle B. That Safeway could very well be and /or replace the Safeway of my memories near Grammies apt. Total flash back. Ever stranger still I was just last week reminising of my trip there a few years ago… If I could remember the name of the restaurant… They had the most scandelous dessert called shmooo that must only exisit in Winnipeg, and decor comprised of shoes of all types. French cusine… Really a wonderful experince… So if you were to ask (which of course you didn’t) I would say Winnipeg lives up to expectations even those ones surrounded in a fuzzy childhood glow.